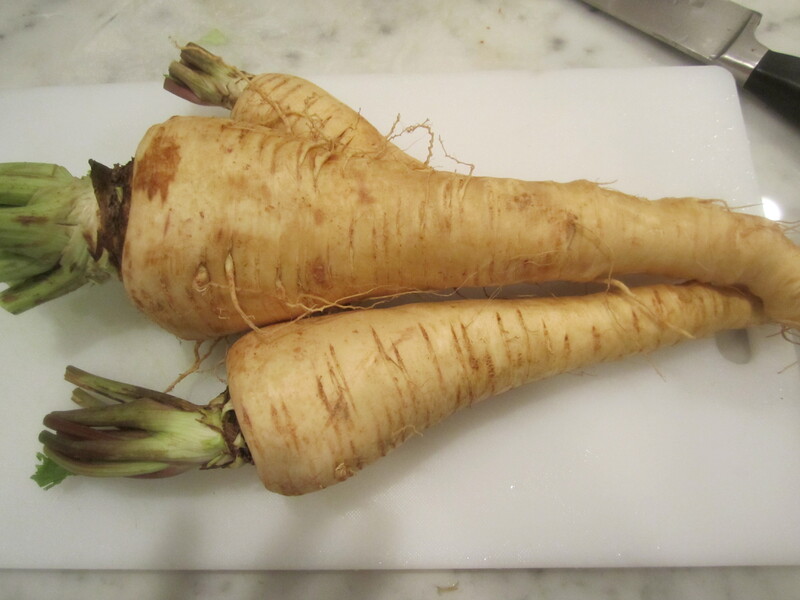 Parsnips will be in season from now into the winter. Like carrots, they have a natural sweetness that lends itself to roasting. 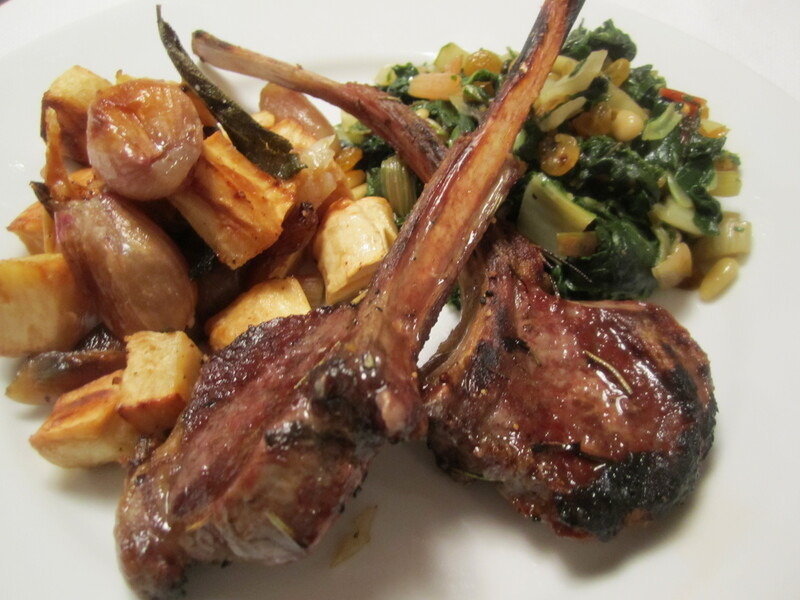 I’ve done a little experimenting with this recipe, and had to make it twice to get the texture of the parsnips to a point that I thought was luxurious and crispy on the outside, but tender on the inside. You’ll find that most recipes for roasted parsnips direct you to simply oil them and place them on a baking sheet for anywhere from twenty to forty minutes. I found this a woefully inadequate cooking time. I roasted my first round of parsnips for a full hour-and-a-half, and although they were nice and golden, they were tough as leather. I realized that the only way to get them to a texture with which I was satisfied was to boil them first, then roast. This technique worked brilliantly and also gave me a dish that can be partially prepped ahead, then finished off in a hot oven in no more than a half-hour. 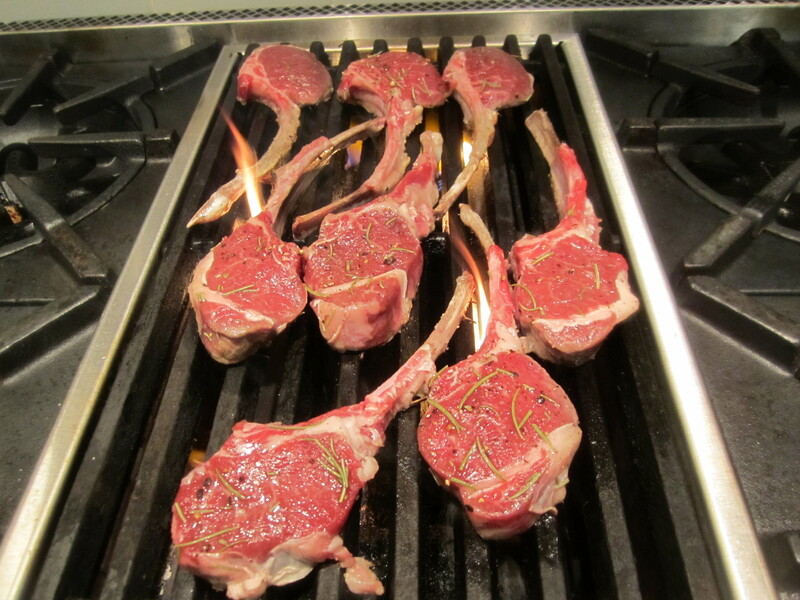 Tonight, our main course was lamb chops, rubbed with salt, pepper and rosemary and simply grilled on my stovetop charbroiler. 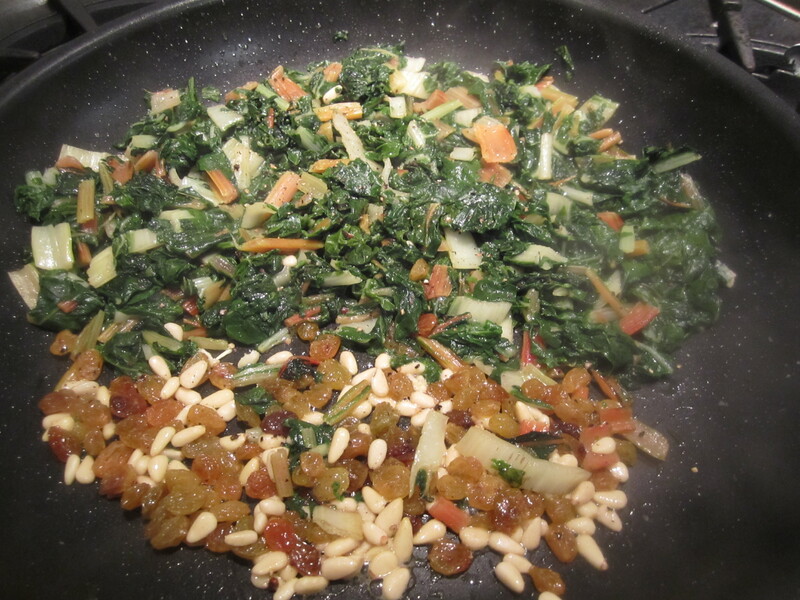 As an accompaniment, we had swiss chard, chopped, blanched, then sauteed in olive oil with pine nuts and raisins. Remove root ends and tips from parsnips. Peel and cut into 1″ cubes. Place in a pot of cold water and bring to a boil. Boil for approximately 10 minutes or until soft. 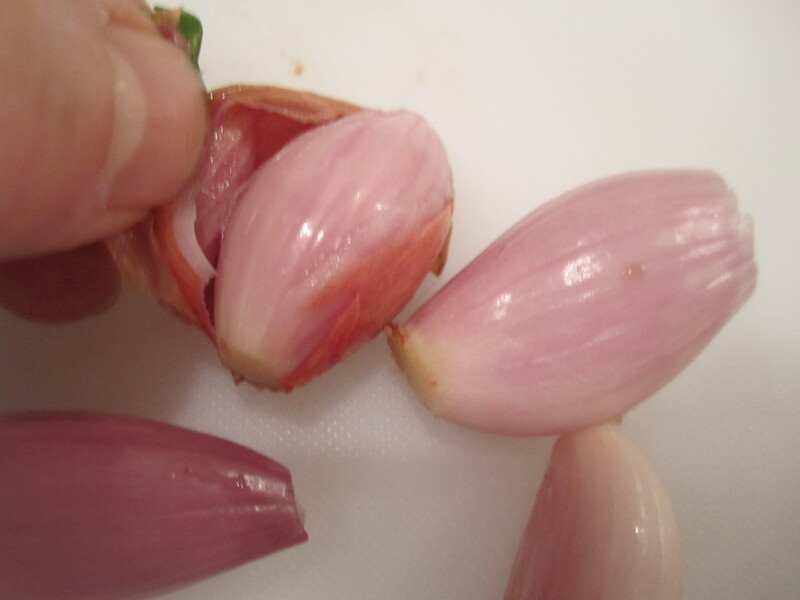 Drop shallots into the same pot of boiling water and blanch for 1 minute. Remove and peel off outer skins. 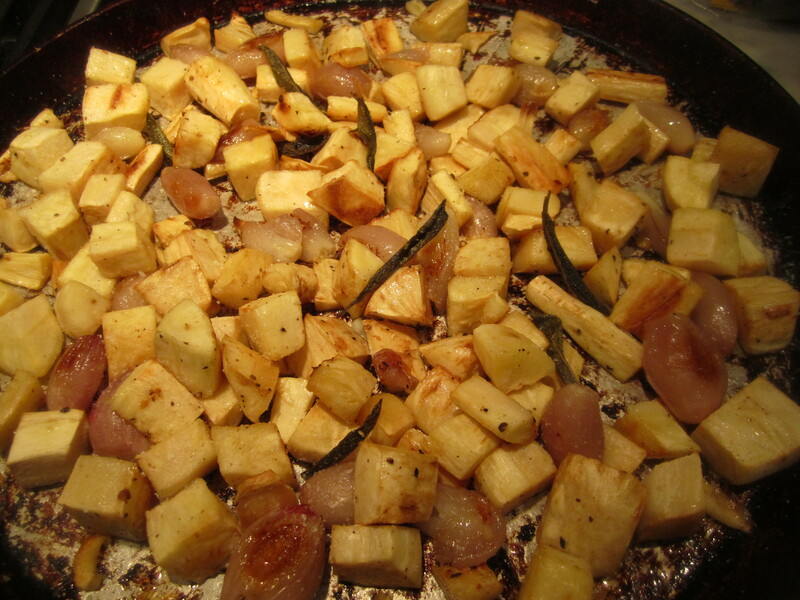 Arrange parsnips, shallots and sage leaves on baking sheet and coat well with oil, salt and pepper. Roast for approximately 30 minutes, or until golden and crispy.